Express your compassion and support with a lovely garden-themed tribute. 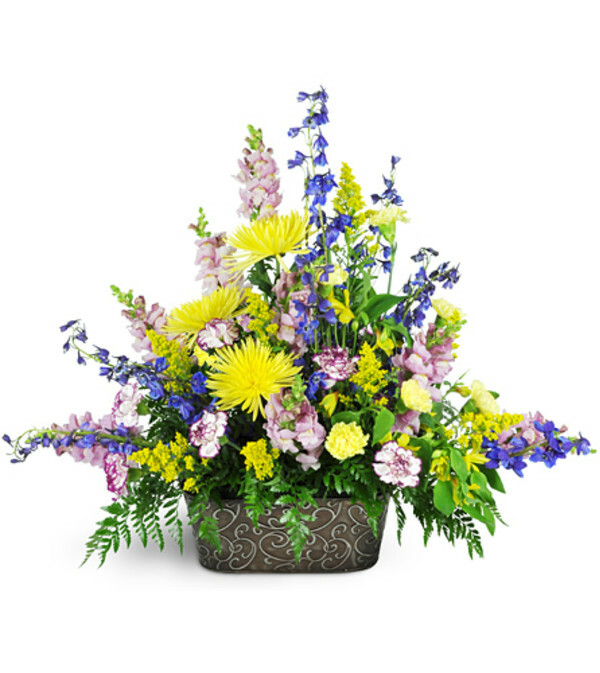 Delicate purple and yellow hues are a beautiful way to honor their memory. Featuring Fuji mums, delphinium, snapdragons, alstroemeria, and more, all in shades of purple, lavender, and yellow, this arrangement is appropriate to send to the funeral home or service. Outstanding market! Fruit and vegetables are always fresh and the prices are reasonable. Excellent fresh produce and specialty food items. 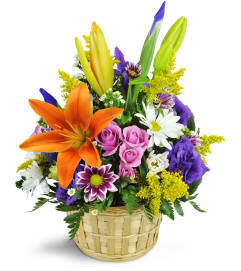 Pearl River Farm Market is a Lovingly Florist in Pearl River. Buying local matters. Discover how Lovingly supports local florists. Copyrighted images herein are used with permission by Pearl River Farm Market.